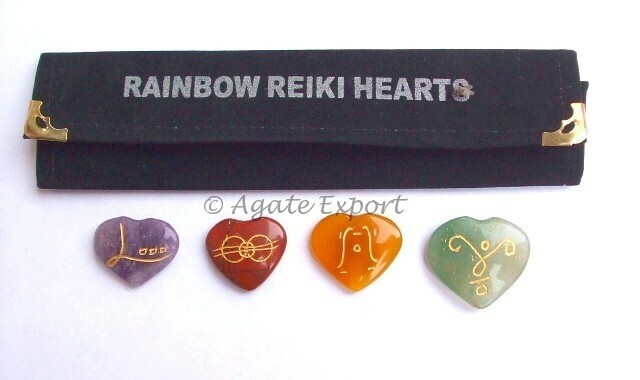 Agate Export brings Rainbow Reiki Hearts Set. The stones on it are cut into a heart shape and have symbols engraved on them. Each symbol plays an important role during reiki sessions.